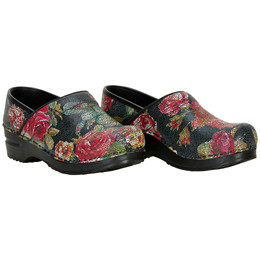 When you buy the Sanita Original Sinna clog, you will get a black flowered closed clog made in the best quality on the market. 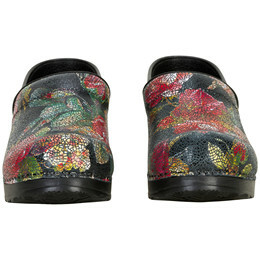 This clog is made of printed leather that fits the fashion trends. 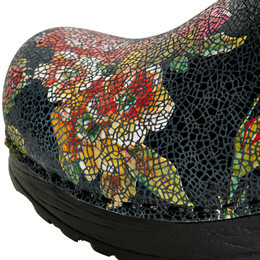 The clog is made with a PU (Polyurethane) sole, which together with the soft on steam insole and the distinctive Sanita shape gives maximum comfort, shock absorption and good durability."